As the site administrator for Rescues2theRescue.org, I am responsible for managing the site, registering new users, and reviewing candidate dogs’ evaluations. MAPP’s strong focus on writing and succinct communication strategies has been especially useful in reviewing existing pages and creating new content. During my internship, I executed two surveys: a brief open-answer staff survey and an in-depth user survey. The surveys provided valuable feedback on overall site use, R2R’s strengths and weaknesses, and potential future growth opportunities. I also visited several shelters to discuss R2R and help staff identify and evaluate candidate dogs. I presented at Carroll College’s Institute for Shelter Dogs summer conference which included shelter staff from across the US and Canada. 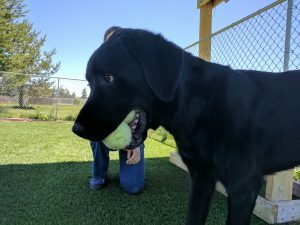 The high-energy, high-drive shelter dogs recruited by R2R do not make good house pets; our goal is to provide them with appropriate and meaningful alternatives that embrace their remarkable personalities. “R2R has a new face around the office, Allison Martin! 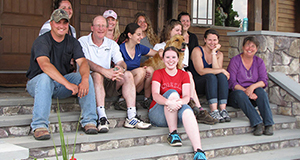 Her R2R internship is the final phase of the degree requirements for her Master of Science in Animals and Public Policy (MAPP) from Cummings School of Veterinary Medicine at Tufts University in Massachusetts. 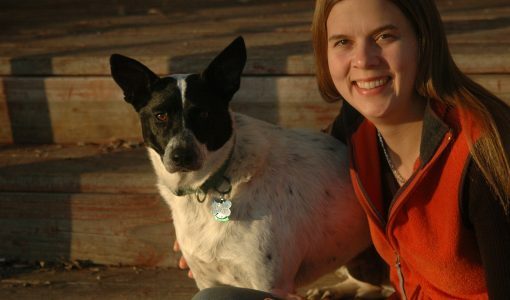 Allison has worked for both conservation organizations and companion animal shelters and companies and could not believe her luck when she discovered Working Dogs for Conservation and R2R – programs that bring together her two passions, wildlife conservation and challenging shelter dogs! Allison shares her life with two “quirky” dogs, a three-legged boxer mix named Boomer and a four-legged McNab mix named Amy, both of whom came from the shelter where she used to work. So far all three are enjoying their summer in the beautiful mountains of Montana.